Gold and Green Taxi is a transportation company in Lake Elmo, Minnesota. We render premium and quality service to all our customers around the city of Lake Elmo. If you need a Minnesota taxi to take you through the neighborhoods of Lake Elmo, we are the perfect answer you need. Whether you are a tourist or a businessman, a first timer or a resident of the city, our taxis in Lake Elmo are available for all and we do not make discrimination of any sort. 24/7 availability: Our taxis in Lake Elmo are available every time, every day of the week to attend to customers. Reliable service: You can count on us to always serve you competently and satisfactorily. Being a premium transportation company, we make sure not to disappoint you through our prompt, effective and efficient service. Courteous and friendly attitude to customers: Our services are consumer-oriented and we take care of our customers professionally and respectfully. 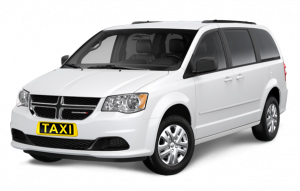 Discount for group: We have different discounts for those patronizing our Minnesota cabs and one of such is the discount which we offer for group shuttle. Professional and responsive chauffeurs: Our drivers are certified experts. They have been properly drilled and have mastered the art of driver-passenger relationship. Long distance travel: What more? How long is the journey? Are you leaving the city? Our Lake Elmo taxis also do long distance travel into and out of the city. 24 hours monitoring for expedited and delayed flight: We offer some extra shuttle services. Heck, we can help you monitor your flight if it is delayed or expedited. Amtrak travel: This is one of the wide ranges of services we offer at Green and Gold Taxi in Lake Elmo. One of the many transportation services we render is post flight transportation from airports. After your long journey flight to Elmo, we can save you the stress of worrying about how to get to your intended destination. We have airport cabs in Minnesota that can take you from any of the airports around to whichever location you are headed. The drivers are courteous, friendly, professional and responsive. They have impressive driving records and are well acquainted to the city of Lake Elmo. Our airport cabs in Minnesota are of diverse range and are all specifically tailored to meet the individual needs of our customers. They are constantly inspected to make sure they are in good condition and fit for shuttle. Our airport cabs in Minnesota are licensed and insured to operate in Lake Elmo. Gold and Green Taxi also provides door-to-door transportation service to Minnesotans in Lake Elmo. We have Taxis in Lake Elmo who can pick you at your door step and drop you at the door stop of your intended destination. This is offered at reasonable fare and in such a way as to guarantee your comfort. Our Minnesota taxis operating in Lake Elmo are of different types. Whether you are shuttling in group or solo, be sure that you will be effectively attended to. In rendering all these services, we are available every time, every day throughout the year. You can get in touch at any time of the day and you will be swiftly attended to. The reliability of our services is unparalleled and this is why we are a level above others in the world of shuttle business. You can make bookings, arrangements and reservations for our Lake Elmo taxis for scheduled commute within Lake Elmo, Minnesota. We ensure our Minnesota taxis are working perfectly by conducting a regular check on them before and after every shuttle. This is because the comfort and more importantly, safety of our customers and Minnesotans is paramount to us. Furthermore, we can provide you with shuttle to and from clinics or hospitals in Lake Elmo. You definitely do not want to miss a doctor’s appointment simply because you have no cab to take you to the hospital. Get in touch with Green and Gold Taxi Car Service and your problem is totally solved. Our taxis in Lake Elmo are licensed and insured to operate in the city. They can shuttle round all the state of Minnesota without any hitch. Our outreach extends beyond Lake Elmo to all other cities in Minnesota. Thus, our cabs in Minnesota operate in Eagan city, Rosemount, Apple Valley, Hastings, Lakeville, Cottage Grove and Inner Grove Heights. As such, if you need a taxi in Minnesota to and within any of these cities, get in touch with Green and Gold Taxi. As earlier stated, our cabs in Lake Elmo are handled by professionals. These are experts at driving and they are properly licensed. They have an accumulated wealth of information and experience when it comes to shuttling within Lake Elmo, Minnesota. They are friendly and courteous and respectful to customers. With Green and Gold Taxi, shuttle within and around Lake Elmo is made easy for all. We offer the best available transportation services to customers all for a reasonable fare. We are the ultimate solution to your transportation needs. Our Minnesota taxis are top quality; their drivers are professionals and they are available 24/7 throughout the calendar year. Do not hesitate to deal with us. Contact us at (651) 452 9000 anytime you need our service. Get started with us today and you will never regret doing so.